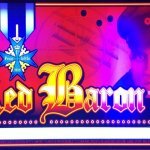 The Hellboy video slots game – Big wins in Supermode. 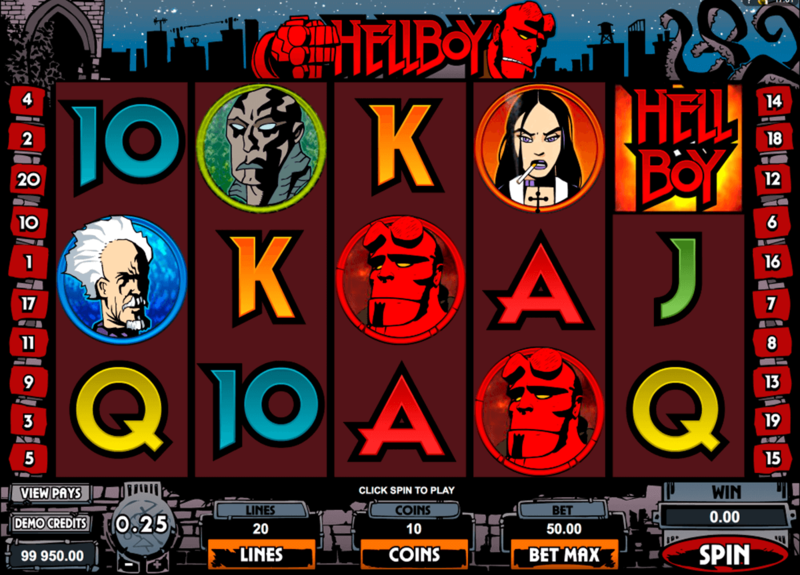 With their Hellboy video slots game, developers Microgaming have stayed true to the hugely popular Dark Horse Comics title and the two blockbuster movies featuring the unique superhero. The game opens with an impressive animation in the style of the comics, and animations and audio throughout the game mirror this style, so the tone is dark, but cynically humorous. Hellboy plays on five reels and has 20 bet lines, with coin denominations ranging from 0.01 to 0.25. Ten coins per line is the maximum bet, or 50.00 in total. Although the game has no progressive jackpots feature, it does feature a number of high payouts, the maximum being 10,000 coins. Stuck wilds in the Supermode round can also enhance wins enormously. The game can be played in Expert Mode, which makes setting bet options much quicker, and it also features settable autoplay options. Hellboy’s low win icons are the standard poker symbols A, K, Q, J, 10, rendered in the comic book’s iconic jagged title font. The medium win icons are taken from the Hellboy characters: Liz Sherman, Abe Sapien, Johann Krause, Professor Trevor Bruttenholm and Hellboy himself. Wins require at least two matching icons (in the case of the scatter symbol), but more often three, four or five of a kind. 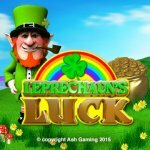 As with most online pokies NZ games, these matches must run uninterrupted from the leftmost reel to win. The wild symbol is the Hellboy logo, and it substitutes for all symbols except the scatter symbol. Not only does it thus increase the possible number of winning bet lines, but the wild also doubles any wins on a bet line in which it forms part of the winning combination. The Hellboy slots scatter icon is another familiar sight from the comic books: Hellboy’s famous stone Fist of Doom, which strikes sparks of flame from the wall. Two or more scatters in any position result in a win, but three or more scatters in any position trigger the Underworld Bonus round. This is an animated adventure in four levels of underground tunnels guarded by fierce demons, searching for the Relic of Power hidden in the Chamber of Fire. Finding other team members on each level will increase the final bonus awarded. Players are presented with a series of tunnels to choose from at each level; they must choose the correct ones to continue. If they enter a blocked tunnel at any point, the Underworld Bonus round ends. Hellboy slots’ most attractive feature, however, is the Supermode bonus round. This is triggered randomly, but awards the player 10 free spins. 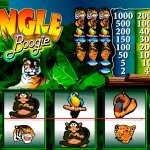 In this feature, the three wilds are also randomly awarded, and stick in place for the remainder of the free spins, to improve winning possibilities enormously. The Supermode free spins cannot be retriggered, and the Underworld Bonus round cannot be triggered during Supermode. The Hellboy slots game also includes Microgaming’s signature Gamble Game, in which players can choose to try doubling or quadrupling their wins by guessing card colours or suits.